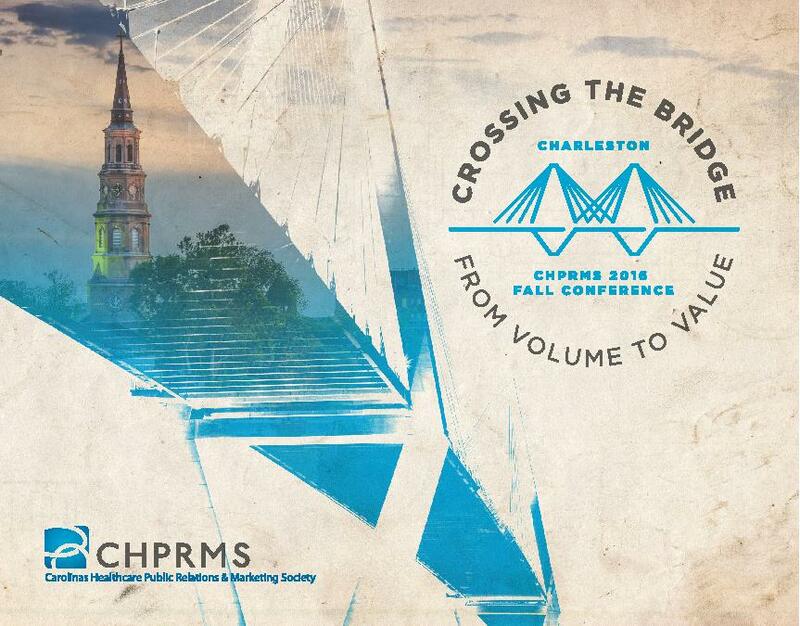 Our 2016 Fall Conference was held in historic downtown Charleston, SC. During the conference, attendees were invited to navigate the changes in healthcare that will take us from Volume to Value. We heard from leading experts as they shared their insights on some of the most significant changes ahead. Our thought-provoking keynote speakers, panel discussions, creative strategy session and educational breakout sessions provided one of the best opportunities in the Southeast for healthcare marketing professional to share best practices and network with colleagues. To conference attendees, thank you for joining us. We hope you gained valuable information that will cause you to want to join us year after year. If you were unable to attend, below are just a few of the many exciting presentations you missed. We hope you will be able to join us in Asheville, NC at our 2017 Fall Conference!